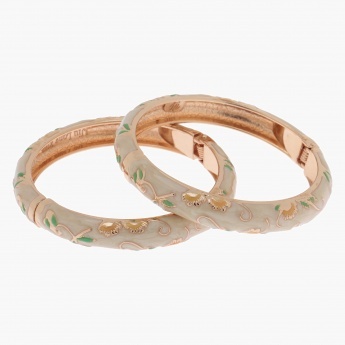 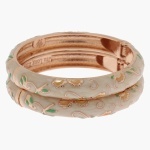 Adorn your hands with this lovely set of two bangles. Sporting a pastel shade with floral embellishments, it exudes a dainty charm. The inner layer sporting a lustrous finish enhance its appeal.